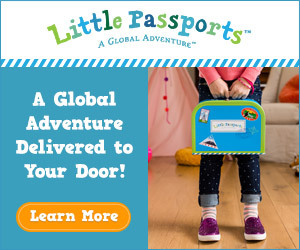 One of the benefits of subscribing to the (FREE) Kids’ Travel Books newsletter is access to the Resource Library. Want to know what’s in the library? Below is a list of the items currently available. New items are added frequently. Ready to download? Subscribe now. Along with Resource Library access, you’ll receive once a month updates at the most. Already a subscriber? Check out our latest email for the access code and then click here. Newsletter subscriptions are currently on hold. You can access our resource library by clicking here. Track the states you’ve visited with this free printable. This fun printable allows your kid track books set in different states. Fun! This is just the first page of a 9 page download. For more details about what’s included, check out this post. Click on the image to download the whole log. May 2016’s subscribers-only download is this reading log.